Sipping Sensations | The GTA's Top-Rated Play Park and Party Place! While your children frolic happily, sit in a luxurious chair and enjoy a rich, smooth cup of fresh coffee. The Funnery is proud to serve Seattle’s Best™ brewed coffee: a rich and velvety premium roast. Sit back, take a sip and savour the satisfaction. In addition, The Funnery is proud to exclusively serve several varieties of Tazo™ brand teas. We are proud to serve this world class label, offering rich, delicious blends, from bold black tea blends, to bright and refreshing herbal infusions. Lose yourself in a cup of warmth and contentment. and frothy cappuccino – whatever your pleasure, we have the drink for you. If these options aren’t enough for you, try one of our specialty lattes and macchiatos from Caramel Delights to Toasted Marshmallow to Vanilla Bean, among others. We’ll make sure that whatever strikes your fancy also hits the spot. Is it a cold and refreshing pick-me-up you’re looking for? The Funnery Café offers a range of delicious iced coffees, from the traditional standard to more specialty offerings, all of which are certain to drive away the summer heat. 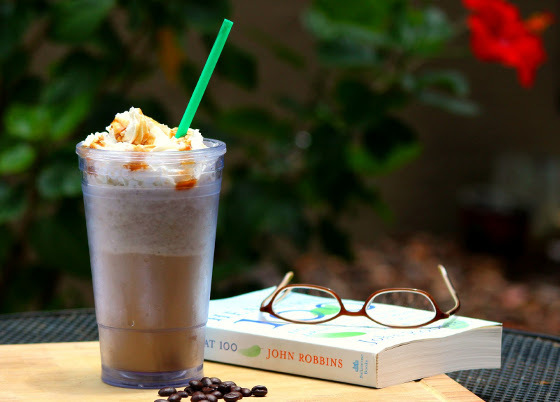 For an extra special treat, indulge in one of our many decadent frappés, always served with extra whipped cream!